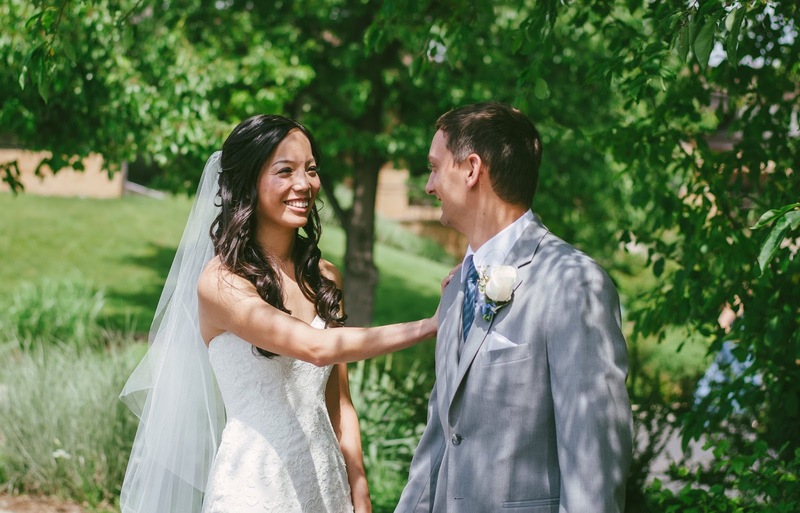 On June 3, 2017 Maggie and Phil said I do! You're The Bride was hired for rehearsal and Day of/Wedding Management. The YTB team of Tracie, Samm, and Christy were there to finalize details, set up decorations including a memory table, candy at each place setting, setting up place cards, placing a linen made by Phil's Mom on the cake table, and ensure that everything went smoothly. 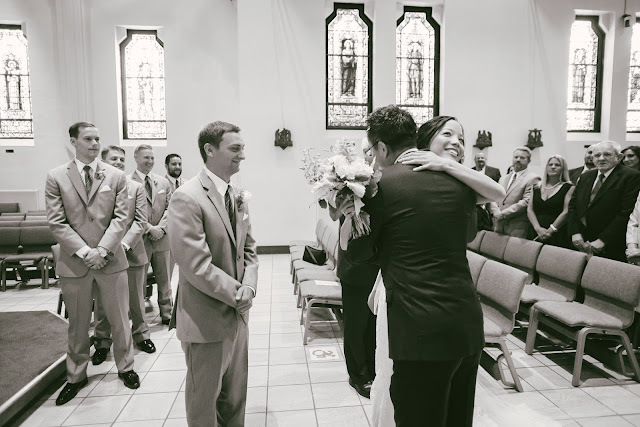 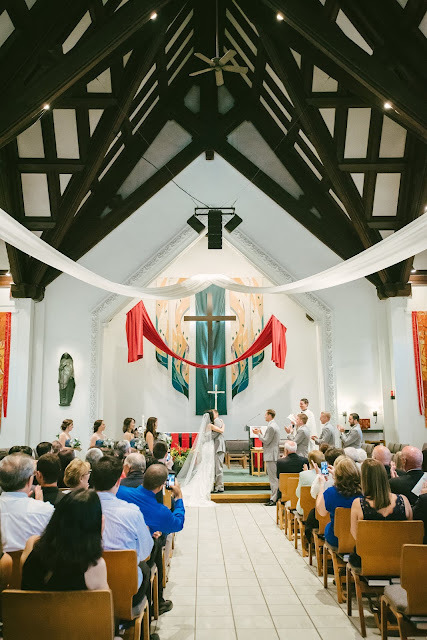 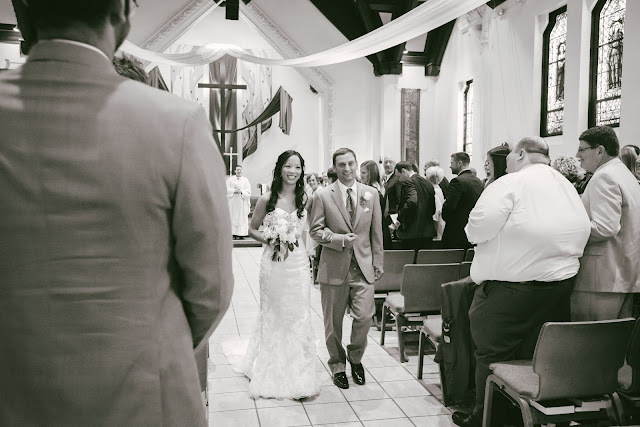 Maggie and Phil were married at St. Mary Student Parish in Ann Arbor, Michigan. 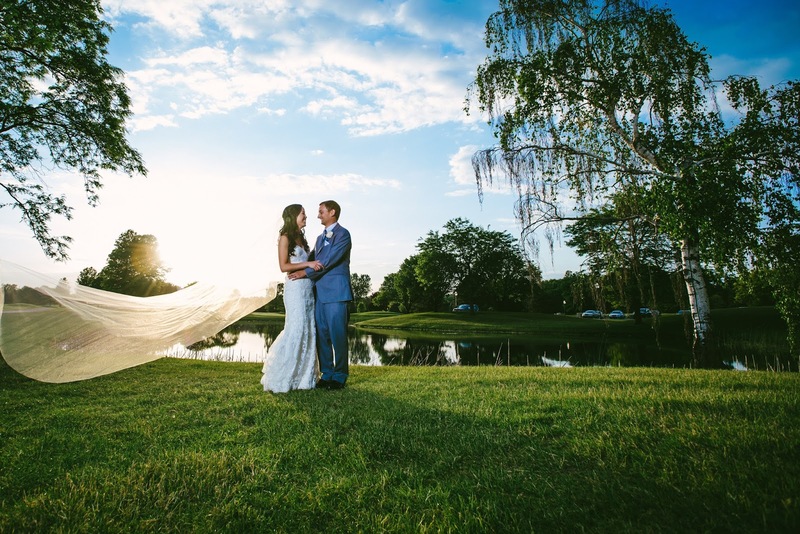 This city is special to the couple because they attended and met at U of M Ann Arbor! 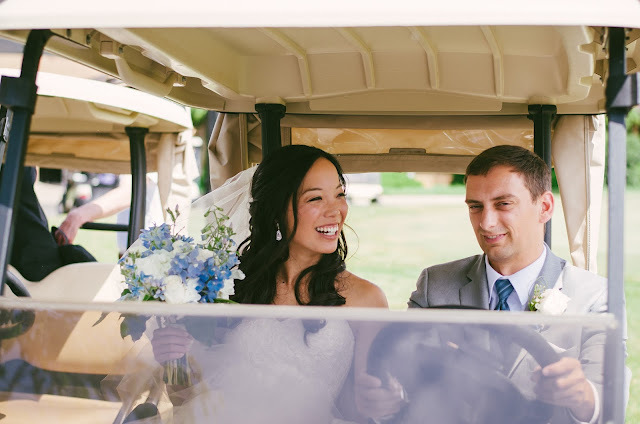 The reception was held at Travis Pointe Country Club. Which was very fitting because Phil had proposed to Maggie during a golf match on the 9th hole. 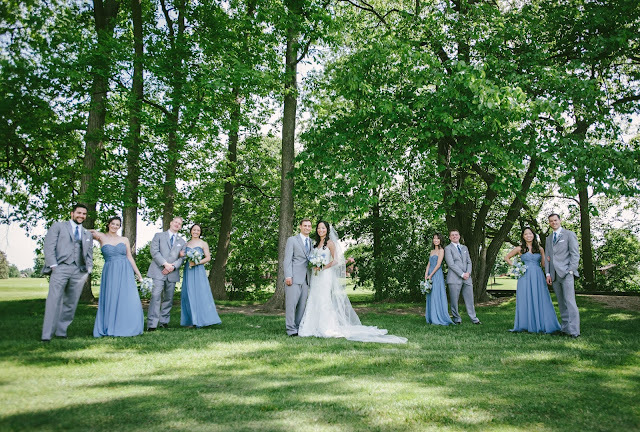 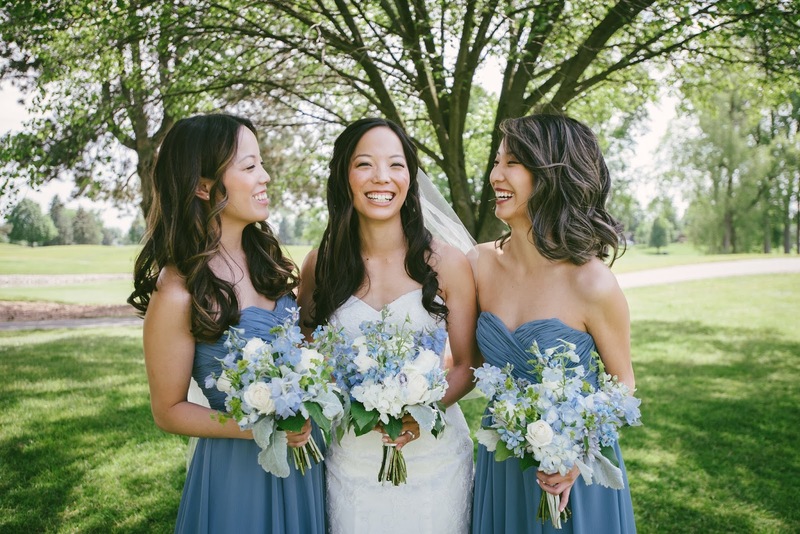 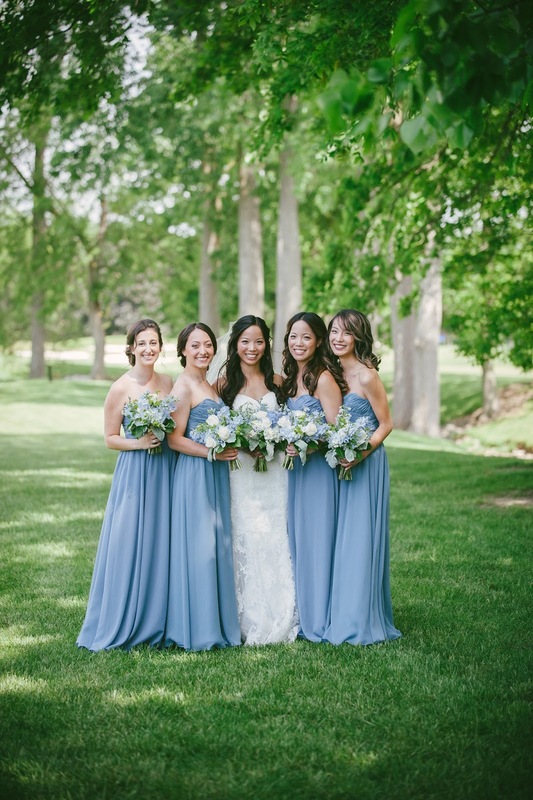 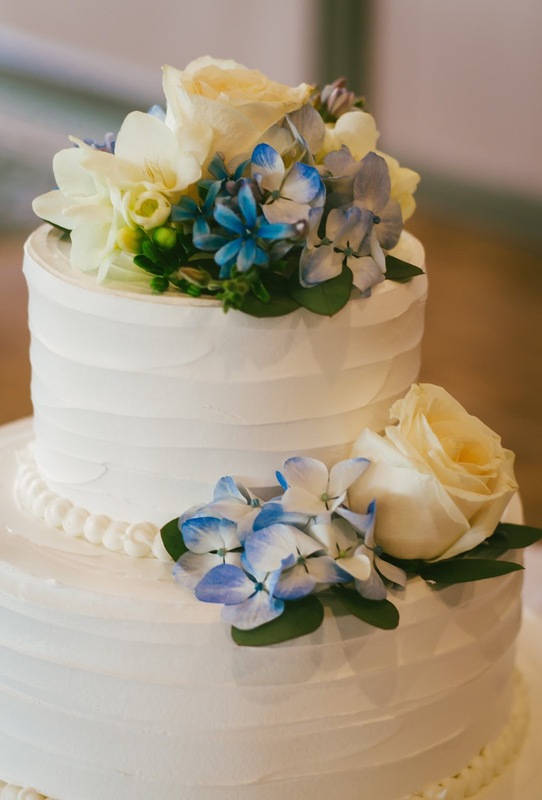 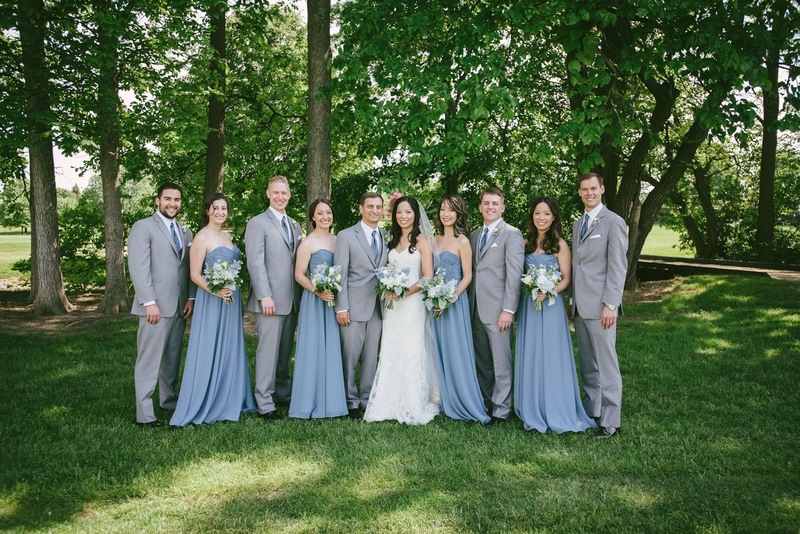 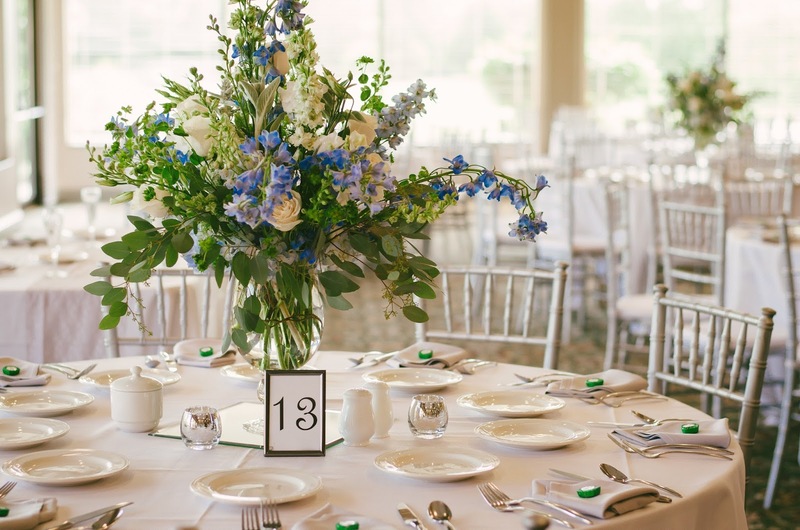 The blue, white, and greenery were a perfect combination of colors for this hot summer wedding. The big open windows created vibrant natural light that filled the space. Each table was decorated with vases overflowing with gorgeous white roses and blue hydrangeas sitting on top of a square mirror. The happy couple shared their first dance to "You Are The Best Thing" by Ray Lamontagne. 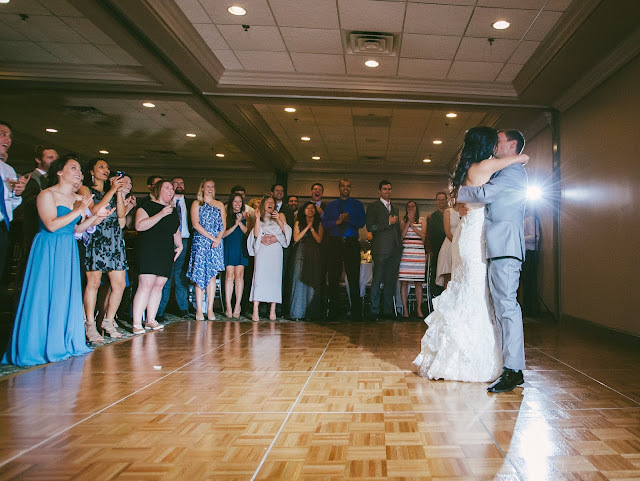 When their dance was over, the house lights went off and the colorful party lights turned on. 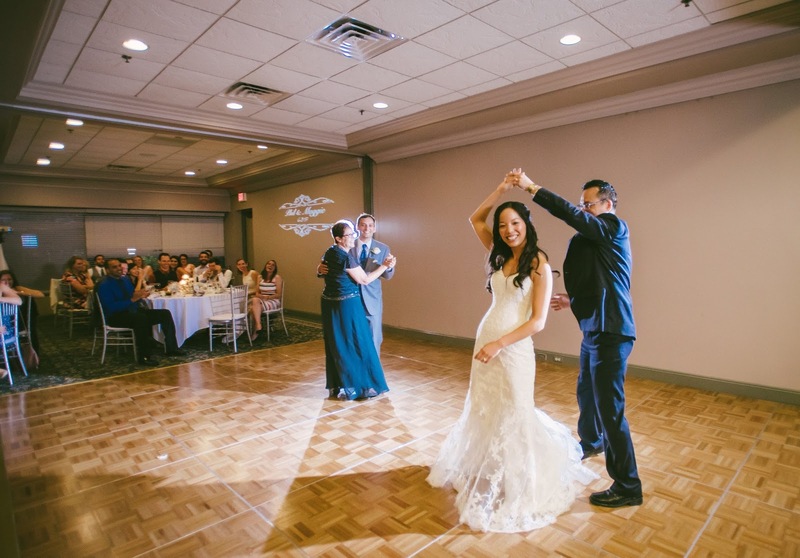 It didn't take long for guests to join Maggie and Phil on the dance floor. Friends and family stayed and danced throughout the entire evening. 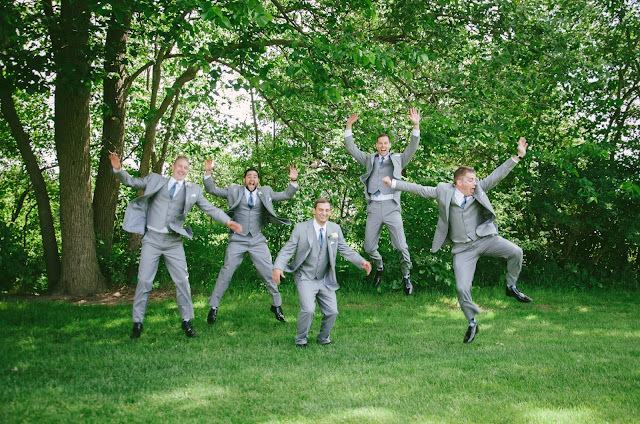 Only taking a break to get some silly pictures at the photo booth or to grab a slice of pizza that the bride and groom had arranged as a late night snack. 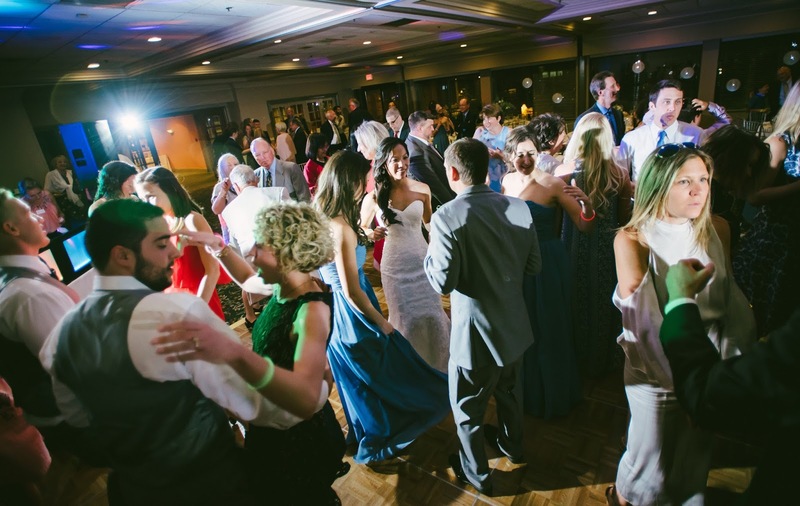 Kids especially took great pleasure in the glow sticks that our team passed out. 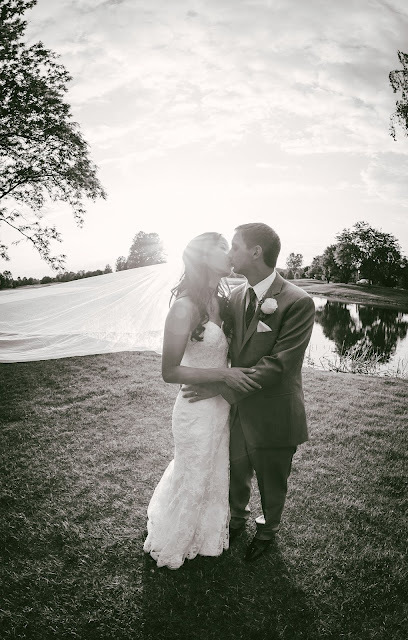 This couple had the best hashtag that was fitting with their last name.